This manual offers detailed, step-by-step guidance to dermatologic surgical procedures. 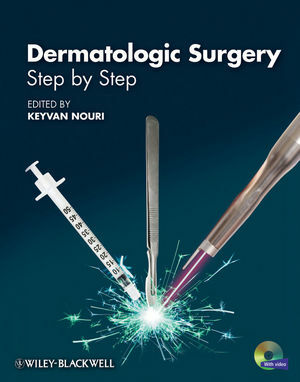 The coverage provides three main sections - General Dermatologic Surgery, Cosmetic Surgery, Lasers and Miscellaneous topics - over 60 chapters with a concise templated format. Each chapter features five sections: pre-operative care, step by step surgical technique, post operative care and follow up, complications, and prevention and management of complications. Filled with clear descriptions and illustrations (5-10 per procedure), this manual and accompanying DVD provides physicians with updated and easy-to-read information for quick review and reference.